STRONG STAND WITH WEAK STANDARDS? REALLY? How Can One Take a Strong Stand with Weak Standards? In a question and answer session, a young man stood and asked Dr. Jack Hyles a question. It was obvious the young man was trying to contradict what he thought Dr. Hyles believed. He said, “Dr. Hyles, you have very high standards. How do you respond to what the Bible says about man looking on the outward appearance, but God looking on the heart Don’t you think you put too much emphasis on standards and not enough on the heart?” Smugly the young man sat down, thinking he had gotten one over on Dr. Hyles. Dr. Hyles smiled that winsome grin that we all loved, and he said, “Young man, our motives are determined by our hearts. But, the motive of one’s heart establishes one’s standard. The purer the motive, the higher the standard. My standards are higher when my motives are pure. You cannot tell me that you have pure motives if you have low standards. Dr. Hyles believed that standards erode when good intentions reign supreme in our theology. When we decide that standards are legalistic and deem that good motives are all that matter, we move into something far worse than legalism, that being lethargy. If we have a good motive then it would only be logical that higher standards would follow. If the makers of toilet paper have the motive of making a good product, they would set a higher standard for their paper. Is that legalistic or is it the byproduct of good motives? The purer the motive the more extreme the standards would seem to be. Yes, it is possible that the purpose for the standard can get lost, but would it not be wise to consider why the standard was set before we merely discard it or accuse those who set it as being legalists? One with standards may have a far purer motive than those who criticize the standard. It is easy for the next generation to criticize their predecessors for their standards without taking time to study the way they arrived at them. Say what you will, but in order to stand there must be standards and those are the standards given to withstand in the evil day. Standards always follow a stand. A position without a standard is temporary. All of us would agree that we are to stand, yet many would call those who institute standards as legalists. Let me illustrate. Let’s assume that the owner of the toilet paper company takes a stand and sets standards for his workers as well as his factory. Those standards are meant to accomplish his goal of making a superior product NOT to make the people superior. However, a particular man who works in that factory may have high standards in his life NOT because he wants to make great toilet paper but because he want to have a great family life and turn out great kids. His motive is different, but his standards are still high. He takes a stand in his home and thus, he sets high standards. The standards won’t be the same as the owner of the toilet paper factory, but he will have a set of standards. The standards of my ministry reflect the motives of my heart. The fact that others do not live those same standards in their home reveals their motives are not the same as mine in my ministry. When they become purer in their motives, they will raise their standards. Lower standards reveal a lesser commitment within one’s heart. Higher standards do not make you a better Christian. Becoming a better Christian will, however, raise your standards. Dr. Hyles never believed the standards created great Christians. He did believe that when one grew spiritually it would be evidenced in the standards they exhibited. An institution that wants to turn out a better product will raise its standards. You will not find higher standards than in our military academies. They set very high standards because they have a very important motive. They are training the officers for our military. We applaud these military academies for their high standard because we understand their reason. Sadly, we criticize Christian institutions for doing the very same thing. 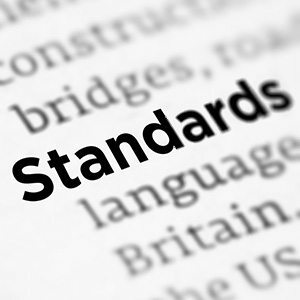 It is not legalism to have standards. It is lethargy that keeps us from having them. Christians have become lethargic in their hearts, thus lowering their standards. There is something very interesting about which Dr. Hyles often warned us. He said, “Show me an aggressive soul winning church that is really after souls, and I will show you a church that has higher standards.” It is true. I have watched a generation abandon personal soul winning and, as a result, abandon their standards. The further we move from soul winning, the further we move from standards. As our motive deteriorates, so do our standards. Dr. Hyles did not believe that standards always reflected the heart, but he did believe that one’s heart would be reflected in their standards.